Safety is 1st in everything we do! 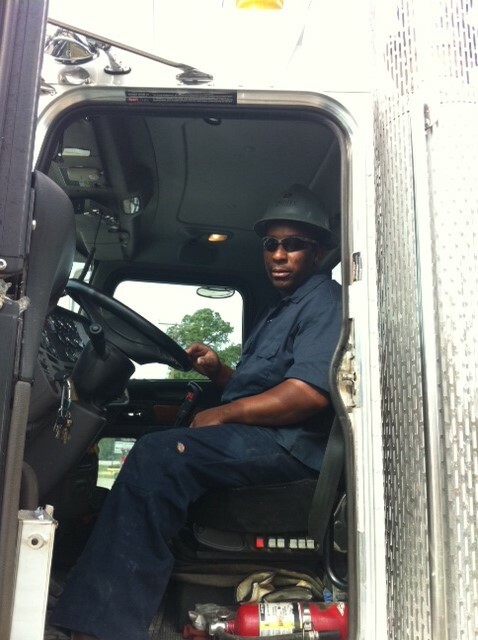 Trinity Steel’s Management Team would like to recognize Leo Henderson for receiving a perfect score from the Department of Transportation during a Level 1 inspection. Twenty-three items are checked from brakes to windshield wipers to the driver’s log. Leo’s attention to detail and pride in his work certainly stand out when an agency like the DOT gives you a perfect score. Leo is making a huge contribution to Trinity Steel’s reputation for quality and we thank him for it. Tags: Safety | Comments Off on Safety is 1st in everything we do! Striving for World Class Welding Quality! In a great example of employee development aligning perfectly with continuous improvement, five Trinity Steel Fabricators employees participated in a American Welding Society (AWS) Educational Seminar this month. The Seminar, “Welding Quality Management for the Modern Fabricators,” covered topics from Safety to Destructive Testing with focus on the role of management in ensuring adherence to Quality Standards. The four instructors represented OSHA, WorleyParsons, Air Liquide and Theiss and Associates. Trinity Steel would like to thank and congratulate Allan Bailey, Bobby Conley, Daniel Gearheart, Honorio Cisneros and Matthew Leach for their attentive participation. Tags: American Welding Society, Training, Welding | Comments Off on Striving for World Class Welding Quality! Ouch! Staying healthy can hurt for a moment, but preventing flu can keep everyone safe at work . 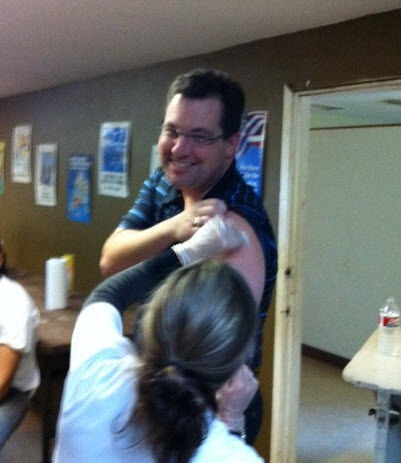 We had great employee turn out of more that 89% for flu shots that are part of the fully paid medical benefits provided to every employee. 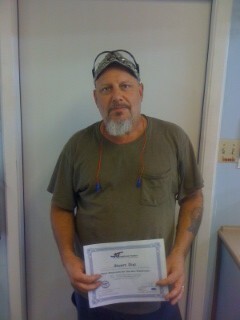 Congratulations to Stuart and Jesus on their Electrical Training! As part of our continued investment in our people, we are glad to announce that two of our employees have recently completed the basic electricity class. This course was specifically designed for maintenance technicians and other non-electrical personnel working in Industrial plants and commercial buildings. Both found the course very interesting and the training has already saved Trinity Steel a service call to an electrician through application of what they learned. 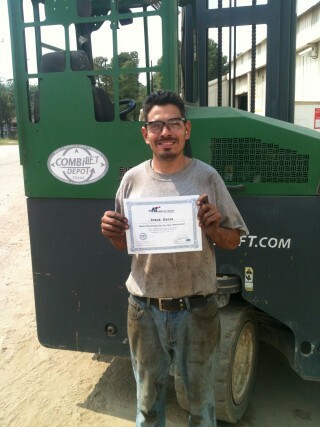 Tags: Training | Comments Off on Congratulations to Stuart and Jesus on their Electrical Training!